How Racism, Deculturalization, and Gentrification reinforce one another? How can we connect our current culture to their history?. What is culture? What is racism? What is deculturalization? Who are Africans? How can we see that they were deculturalized? Why were they? What is Gentrification? Why is it important? How has this affected today’s culture? Students acquire insight into social norms by connecting them to historical events. Students understand the current minority living standards and subsequently are able to use this knowledge as a tool for real-time success. Racism, Bigotry, Culture, Deculturaliz(e)­(ation), Segregation, Misappropriation, Gentrification. Please have permission slips signed for movie(s) watched in class, as they may have socially sensitive material. ·16.A.3b: Make inferences about historical events and eras using historical maps and other historical sources. ·His: 16.A.4a: Analyze and report historical events to determine cause-and-effect relationships. ·His: 16.A.5a: Analyze historical and contemporary developments using methods of historical inquiry (pose questions, collect and analyze data, make and support inferences with evidence, report findings). Class discussion on the day's vocabulary words/themes that apply. 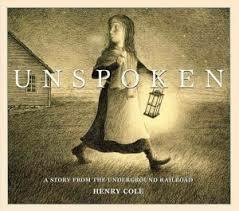 ·Discuss how they interpret the scenes depicted in Cole’s book. ·Group activity; Students break into 4 groups where they will have 20 minutes to write three main challenges placed on the characters, and two ways they overcame adversity. ·Essays depicting cause and effect. ·Journals utilizing the students emotions and perspective to guide their writing. -Multiple class discussions, allowing various thinking styles to speak and illuminate new possible perspective. · Interviews at home; the student can choose a parent, relative, or any other elder that they look up to, and ask how they view the themes touched on in class, as well as if they have any suggestions on how to help succeed, despite the challenges.· Journal logs; write on how the readings and learned events make them feel, do they see the same situations in their life? How? What ideas do they have to help the problem? One page essay depicting cause and effect of student tension viewed from movie clips, while using lecture notes as reference. Text Handouts, computer speakers for music, DVD player or Computer with DVD playback ability and monitor/projector for the movie.